The objective of the Indian Air Force strike at Balakot on 26-February-2019 was to insulate India from jihadi terror orchestrated by Pakistan and to purge India of jihadi terrorism. Indian patience died after the Pulwama terrorist attack, wherein 44 CRPF personnel were martyred. If we had not done a Balakot, we would have compromised with our very nationhood, not necessarily statehood. Chatering the inflection points, from staged abduction of Rubbiya in 1989 by her father and till the attack in Pulwama by a jihadi suicide bomber, the trajectory of jihadi terrorism is marred with flesh and blood. Following Rubbiya’s abduction, jihadi proxy war in India has assumed all possible dimensions, i.e. invitation to global jihadis by an Indian home minister, exodus of half a million Kashmiri Hindus from Valley, IC-814 hijack in 1999, attack on parliament in 2001, attack in Mumbai in 2008 or 26/11 maritime jihadi attack, attack in Uri in 2016 and attack in Pathankot air base, not to mention more than two dozen other major attacks in the hinterland of India as well as Kashmir. The 44 CRPF personnel martyred belonged to 10 states in India, an embodiment of pan-Indian security culture of the country. The Jaish-e-Mohammad (JeM) is equally pan-Indian in its approach. The Indian foreign secretary categorically stated that if we had not pre-empted, the JeM had plans to create several Pulwamas across the country. India would have been consigned to blasts. No longer therefore we could afford to resign ourselves to the jihadi proxy war. It would have battered the morale of rapidly rising India immeasurably. We had specific intelligence. To act was inescapable. It was the question of our being. It challenged our resolve and self-respect to preserve our motherland. It is duty of every government to protect the country and its citizens. The government therefore decided to take pre-emptive action and struck deep inside Pakistan at a JeM training facility in Balakot, 120 kms from Islamabad. The flying time between Balakot and Islamabad is just 3-4 minutes. If we had not acted, Pakistan’s arch of proxy war in India was being enlarged with the help of proxies within India. These proxies include a chief minister and a minister. The JeM attack on Pathankot air base was a manifestation of the expanded arch of proxy war. Even as an Indian politician was embracing (jhappi) Imran and Bajwa, the JeM was engaged in training for 26/11 type attack in Bhawalpur, where the HQs of the global jihadi organization is located. The training was being conducted in the swimming pool of the JeM complex. It included training in deep sea diving. Masood Azhar created the training complex in Balakot in Khyber Pakhtunkhawa (KP) painstakingly, with no little help from the military-intelligence establishment of Pakistan. This complex too had a swimming pool for ‘samudri jihad’ or maritime jihadi terrorism. Samudri jihad is being touted by the jihadi groups as the best form of jihad. The indoctrination was to the extent of turning a human being into a jihadi suicide bomb. The level of hate being inculcated can be gauged from the fact that the staircases in the Balakot complex were painted with US, Israel and Indian flags. Each time the jihadis found these under their feet, they imbibed increasing levels of barbarity. More than 300 of these barbarians were reported killed in Balakot complex. The Indian Air Force by its pre-emptive strike set up a tour services for jihadis to jannat (heaven) to put them into the company of 72 hoors (virgins). This jannat tour services should continue till there are no passengers. The internal proxies were probably more rattled than Masood Azhar or Pakistan military after the Balakot strike. They went bonkers. First they said that the Indian Air Force dropped its destructive payload in Balakot located in PoK. As it dawned that the said Balakot was in KP, their discomfort turned into nervousness. Then they sounded angry and frustrated. It was beyond their calculation that the jihadi proxy war structure in Pakistan could be targeted in this manner. They appeared nervous about the future of ‘Tukre-Tukre agenda’. The next best hypocrisy took the shape that ‘the IAF is brave but missed the target and the JeM camp is intact’. Then they could not explain that if indeed nothing had happened, then why 20 Pakistani aircraft intruded into Indian air space, delivered their payload, but missed all the targets. This intrusion was disrupted and defeated comprehensively. In this combat, Wing Commander Abhinandan killed a F-16, the pilot Wing Commander Shahazuddin ejected, and then killed by his own people. This fact is being concealed by Pakistan as well as the Indian proxies of Pakistan. A Mig-21 killing a F-16 would have been tectonic event during the Cold War. Since the acquisition of highly sophisticated F16 aircraft four decades ago, Pakistan Air Force has been found inept in handling this state-of-art fighting machine. For the Indian proxies: India’s Truth is their Worry, Pakistan’s Lie is their Lie, Pakistan’s Interest is their Interest, Pakistan’s Destruction is their Destruction, and Pak Jihadis their Political Leverage. The prowess of the IAF in both offensive and defensive operations rattled the Indian proxies. Their spin doctors then raised mountains of questions. When Abhinandan returned, they showered Imran Khan with epithets like ‘Statesman’. They sensed that this gesture alone would normalize situation to the level of recommencement of proxy war. They began to clamour for de-escalation and talks. They said that war will destroy both the countries. They said that the talks are the only solution. They conveniently ignored as to which side is the perpetrator and which side is the victim. Those not willing to buy this trap demanded that if indeed Imran is a statesman, he should handover Masood Azhar and Hafiz Saeed to India. Both have been waging war on India for several decades now. What is the problem in this, if they are not part of Pakistan’s military? Only 48 hours later it emerged that in full knowledge of Imran, Abhinandan was injected with chemical to obtain dictated submission. A video full of praises for Pakistan was released. In the said video the Indian media was vilified. 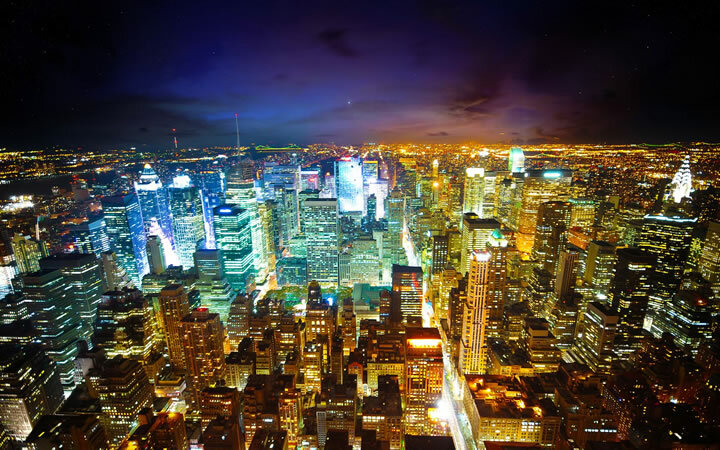 The genuineness of the video could not stand the scrutiny of technical evaluation of the least degree. 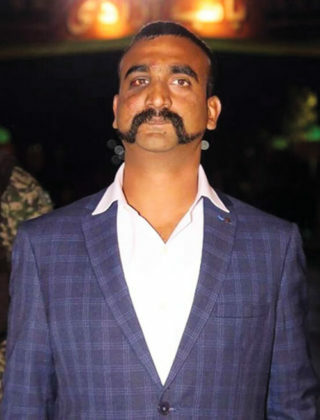 Abhinandan in the wake of his bailout was surrounded by Pakistanis, faced their violent depredations, and consistently refused to divulge anything beyond the stipulations of Geneva Convention. He refused to be intimidated even during his most vulnerable moments in enemy territory. When it became clear that Azhar’sBalakot complex had been hit, vindicated by none other than the railway minister of Pakistan, Sheikh Rashid, in the floor of the National Assembly, the Indian proxies raised another boggy. They said that the complex was vacated before the air strike. Now, a video confirming the strike has been released by Maulana Amar, the brother Masood Azhar. The CNN also vindicated the strike and another respectable source counted at least 35 bodies. The head of the training complex was Maulana Yusuf Azhar, brother-in-law of Masood Azhar. He has been confirmed killed. The head of the jihadi complex would not have died alone! Sheikh Rashid in the Assembly said: “Masood Azhar Sahab ke Madrase par hamlahua”, i.e. Massod Azhar Sahab’s Madrassa has been attacked by the IAF. For Pakistan, Masood Azhar is a Sahab but for India, he is a jihadi animal or a terrorist. This distance between Sahab and Animal will always remain constant between India and Pakistan. If this distance did not exist, Pakistan would never have been created. On 23 March 1940, Jinnah in the Lahore session of Muslim League said: “We are a nation of a hundred million, and what is more, we are a nation with our distinctive culture and civilization, language and literature, art and architecture, names and nomenclature, sense of value and proportion, legal laws and moral code, customs and calendar, history and tradition, aptitudes and emotions; in short we have our own distinctive outlook on life and of life.” The fact of the matter is that the heroes of majority Indians are Pakistan’s villains and the heroes of majority Pakistanis are villains for India. If this be the reality, then how do we influence Pakistan? How do we end the proxy war? If jihadi organizations are the chief instruments of Pakistan’s external security and strategic enterprise, then how do we dismantle the jihadi infrastructure? Pakistan will not dismantle it. So are we condemned to suffer jihadi terrorism? The onus of dismantling the jihadi infrastructure in Pakistan is therefore on India. It can only be dismantled, if India is pro-active or more appropriately pre-emptive in the counter-proxy war. 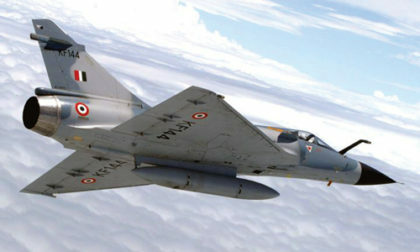 On the night of 26-February-2019, flying to a distance of 2500 kms, dozen Mirage-2000 fighter jets took off from Gwalior air base and struck JeM camp at Balakot in KP. This strike was audacious. It was successful because of high level of coordination and of course professionalism. The SU-30 aircraft provided protection. There was air-to-air refulling carried out. The Netra AWACS monitored enemies activities all through. The target was engaged with precision by precision guided weapons. Why was this strike successful? First, because of the political will. The prime minister had displayed the trait earlier in the surgical strike across the LoC. It is the political leadership that wields the armed forces. After all, the same instruments were available earlier as well. But the political leadership could not gather the gumption. Second, the nationalist media played a critical role in mobilizing public opinion with regards to decisive action against Pakistan. There was both anger and expectation amongst the Indian citizens. The government could ignore it at its own peril. When there is such strong clamour for decisive action, decision making becomes easier for the political leadership. Vote-bank then is hardly an obstacle. Third, the Indians were resolute this time that they will not allow Abhinandan to be used as a weapon of blackmail. It is the Indian media that made this possible and it did not go unheeded in Pakistan. Fourth, the keys or the initiative to this whole business of Pakistan of proxy war was snatched from Pakistan this IAF action in Balakot. It heralded a new era in counter-proxy war by India. 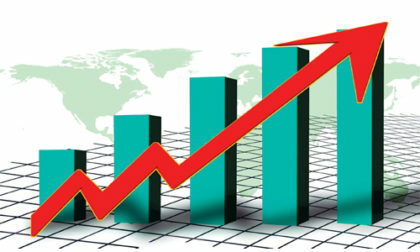 India delivered the message that it will not be bounded by scale nor the medium, i.e. air, land or sea. It could follow any of these routes. 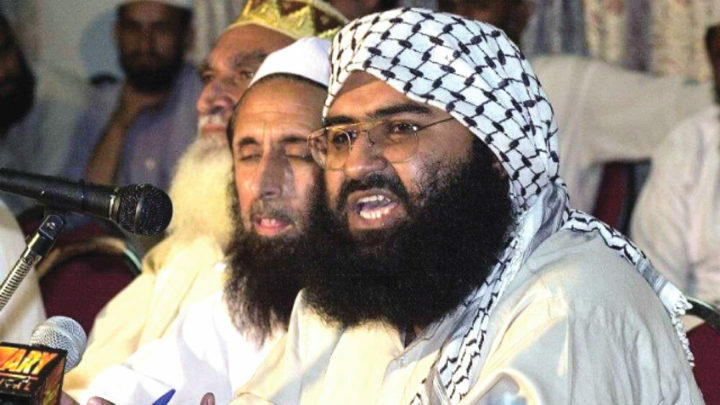 Masood Azhar and Fafiz Saeed may be the professional and spiritual guide to Pakistan military, but for India they are most wanted criminals. India wants them ‘dead or alive’. We reserve the right to act as did, US did in the case of Osama Bin Laden. This was clearly stated during the press conference of Finance Minister ArunJaitley. Fifth, India has called Pakistan’s nuclear bluff and exposed its thin bravado behind nuclear weapons. 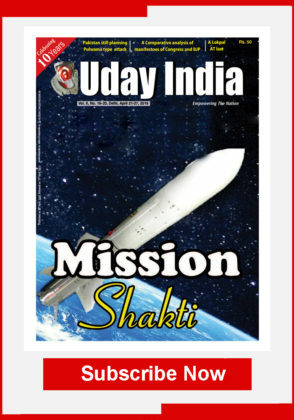 India has signaled that its manifest destiny to suffer proxy war under the shadow of Pakistan’s nuclear weapons. It has demonstrated that between the end spectrums of Pakistan’s nuclear weapons and proxy war, there is a big distance in between where the conventional options can be used to cripple Pakistan in various and mysterious ways. If Pakistan refuses to take lessons from the Balakot strike, it may face extinction as a Islamic state entity within 100 years of its existence. Pakistan was born out of India and may be buried by her in the Indian soil, now called Pakistan. Sixth, the favourable geopolitical situation and geostrategic environment has also contributed in the conduct and success of the air strike. The reality is that the US and India have a lot to complement each other as far as strategic interests are concerned. In Asia, and Indo-Pacific region, there is congruency of strategic interests between the two. India possibly cannot fulfill its strategic role if it is bedeviled by jihadi terrorism. If our geopolitical destiny is to compete with China, then the Pakistan Proxy war is surely a nagging constraint. China’s support to JeM should be viewed in this perspective. Both the US and the Afghanistan government are victims of Pak orchestrated proxy war. The Af-Pak Pashtun belt has its own dynamics. The proxy war impacts on all the three, i.e. US forces in Afghanistan, Afghan government and India. Some of the Pashtun jihadi groups are Afghan oriented, some are beholden to Pakistan for its help, some are anti-US but not anti-India. There are, however, a large number of Pashtuns who are victims of the duplicity of Punjabi Pakistan. They are anti-Pakistan. It is they, against whom, Pakistan conducted operation Zarb-e-Azb (the sword of Mohamad). Those who suffered Zarb-e-Azb at the hands of Pakistan military wherein fighter aircraft were also used, how can they be pro-Pakistan? How can tribes of Swat Valley, who also suffered Pak military be loyal to Pakistan? Just two days after the strike, the Sector Commanders in FATA and KP pleaded the tribal leaders and maulanas for convening a loya-jirga (tribal gathering). Why did it become necessary? Is the Pak military doubting the loyalty of some Pashtuns for the Balakot strike? It may be mentioned that Balakot has substantial Pashtun population. The Sector Commanders urged the tribal to form militias to combat India. They also returned the weapons of Marwat and Betani tribes, which was seized to two years ago following internecine war between the two. As it is the Pakistan military, is unnerved at the growing traction of Pashtun Tahfuz movement launched by Pashtun youth. The cadres of this moment have decried Pakistan military activities in the region. There is great satisfaction rather joy in Afghanistan over the Indian Air Strike at Balakot. Rahmatullah Nabil, former Spy Chief and contender for President said that this should have been done long back and suggested that Iran should act similarly against Jaish-al-Adl. Nabil is of the perspective that a strong India is capable of putting such pressure on Pakistan, wherein leverages can be gained by both US and Afghanistan against India. In the UN Security Council, the Afghan government has questioned the legitimacy of Pakistan’s involvement in talks with Taliban, which is an Afghan insurgent group. Seventh, the Air Strikes could be done also because there was no political subversion. If there was no political subversion in the past, the life of Pakistan’s proxy war would not have been so long. 26/11 was a political conspiracy to ban the RSS. Hence, nothing was done in retaliation or retribution. The extent of political manipulation in India by Pakistan for furtherance of proxy war could be gauged by the fact that a former Chief Minister, also a former Home Minister of Union of India thanked Pakistan for elections in J&K. Those who perpetrated the massive suicide attack in Pulwama probably calculated that a government in election mode will never take the risk of retaliation, thus, killing the image of the prime minister. This constituency is hugely upset by the strike at Balakot. Eighth, such actions cannot be carried out without the risk taking ability in the leadership. If there was no risk taking prime minister, supported by risk taking NSA and executed by imaginative and risk taking air chief, Balakot strike would never have been possible. Risk taking ability is borne out of character and professionalism. The present air chief is an original thinker on matters of employment of air power. Earlier in 2018, he, in exercise Gagan Shakti had generated 12,000 fighter sorties in three days, thus giving a signal to India’s enemies about the readiness and capability of the IAF in meeting two-front situation. Again in December 2018, a massive logistic exercise, the Indian Air Force transport fleet carried 540 tonnes of load to Ladakh in a matter of six hours. The total tonnage required for air maintenance of Ladakh is 3000 tonnes in a month. The Air Chief has brought in the air dimension in the counter-proxy war with great professional finesse. 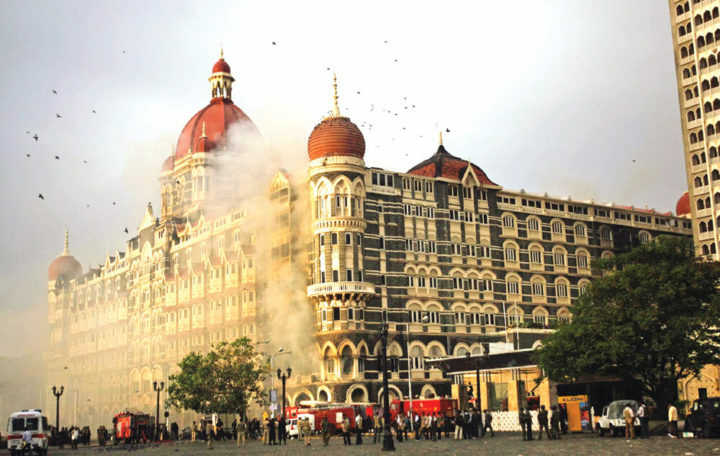 It should not be forgotten that Pakistan had brought the maritime dimension to the jihadi proxy war by way of 26/11. In other words, the IAF has snatched the key to calibration and escalation of proxy war from Pakistan and given it to the Indian dispensation. Ninth, diplomatic ground work towards the air strike was as critical. The foreign policy establishment of India rose to the occasion and isolated Pakistan. Abhinandan was handed for two reasons, i.e. India’s diplomatic offensive, and pro-active and pre-emptive posturing. When a country is pro-active and pre-emptive, it engenders different sets of response. The enemy wonders as to when and where and how would be the next strike. 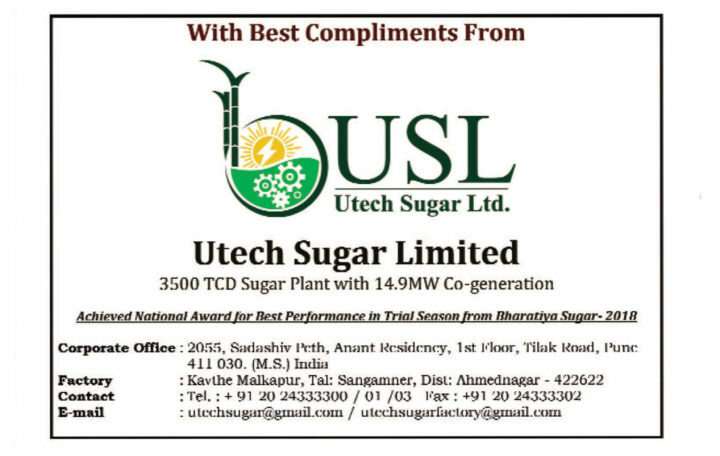 Tenth, finally the success was also because of the excellent selection of target. It was on edge of Swat Valley, on the edge of Gilgit-Baltistan, away from PoK, in the Pashtun Belt, 120 kms from Islamabad, 70 Kms from Abottabad and 35 Kms away from Karakorm highway. Finally, Balakot has historical association with jihad, shariat and caliphate. Now it is Masood Azhar, 200 years ago it was Syed Ahmed Barelvi. Majority of Pakistani are of Barelvi orientation. It was in 1826 that he located himself in Peshawar to launch jihad against the rule of Maharaja Ranjit Singh. His mujahideens fought many battles with the Sikh forces, but due to resistance of Pashtuns, drifted towards Kashmir. Barelvi wrote to his ally, Nawab of Tonk, that Balakot secured by mountains and rivers is the ideal place for furtherance of jihad against the Sikh forces. Once Balakot is captured, he will just roll down along the Jhelum River into Kashmir. Following the battle in Balakot, the Sikhs beheaded Sayed Ahmed Barelvi. Is the same fate waiting for Masood Azhar?